MINNEAPOLIS/ST. 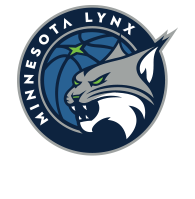 PAUL – The Minnesota Lynx tonight selected Napheesa Collier, Jessica Shepard, Cierra Dillard and Kenisha Bell in the 2019 WNBA Draft. 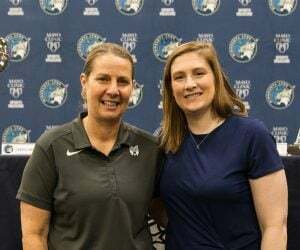 The Lynx held the sixth overall pick (Collier), 16th (Shepard), 18th (Natisha Heideman), 20th (Dillard) and 30th (Bell) in this year’s draft. 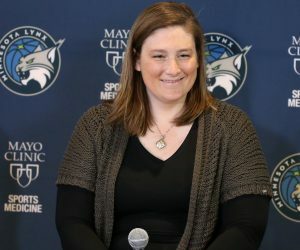 Minnesota acquired guard Lexie Brown (ninth overall pick in the 2018 WNBA Draft) in a trade with the Connecticut Sun for draft rights to 18th overall pick Heideman. Brown, a 5-9 guard, played in 22 games for the Connecticut Sun during the 2018 WNBA season. 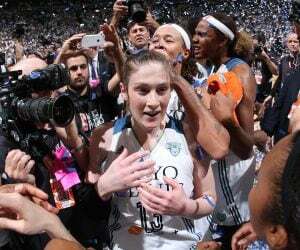 She averaged 1.7 points per game in 5.6 minutes per game. During her collegiate career, she became the first player in NCAA history to earn Associated Press Third Team All-America honors at two different schools, 2017-18 at Duke and 2014-15 at Maryland. Brown reached the 1,000-career point mark in only 81 games. In just 104 career games, Brown hit 193 three-pointers. Before transferring to Duke, she played her first two seasons at the University of Maryland. In 70 games at Maryland (66 starts), she tallied 120 three-pointers, while scoring 825 points, handing out 310 assists and grabbing 127 steals. Prior to the start of the NCAA tournament, Shepard (forward) had played and started in 32 games for the University of Notre Dame, averaging 16.5 ppg on a career-high 60.8 percent shooting from the field. After a two-year stint at Nebraska, the forward accumulated two First Team All-ACC honors and was named to the 2017-18 All-Final Four Team. Shepard joined the likes of Ruth Riley as the only two players in Notre Dame history to reach 2,000+ points and 1,000+ rebounds in their careers. At the University of Buffalo, Dillard (guard) started all 34 games her senior season while averaging a team-best 25.2 points, a team-high 5.7 assists and 2.9 steals, while also making a team-best 105 three pointers. The guard earned First Team All-MAC honors, as well as collecting the MAC Tournament MVP title in 2019. In two NCAA tournament games, she averaged 24.5 points, 5.5 rebounds, 6.5 assists and 3.5 steals. Bell (guard) finished her senior season at the University of Minnesota ranked fifth in team history in scoring average (18.1), seventh in assists (371), eight in free throw percentage (75.1%) and ninth in free throw attempts (438). The Minneapolis native earned a Honorable Mention All-American (AP) nod after tying her own school record for free throws made in a season with 255, which is also tied for eighth most in a season in Big Ten history. The guard completed her Gopher career ranked second in team single-season history in free throws made (179) and 10th in field goals attempted (528) and assists (140). 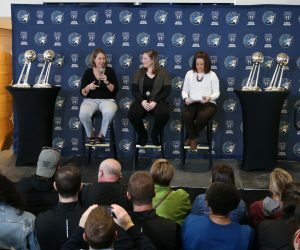 The Lynx will kick off their 21st WNBA season, presented by Mayo Clinic by welcoming the Chicago Sky to Target Center on Saturday, May 25 at 7:00 p.m. The 2019 campaign includes 34 regular-season games from May 25 through Sept. 6. Full season memberships are available by visitinglynxbasketball.com/membership or calling 612-673-8400.